In addition to the traditional Hail Caesar massed battles the supplement introduces rules for smaller scale engagements between warbands as reflects much of this period. 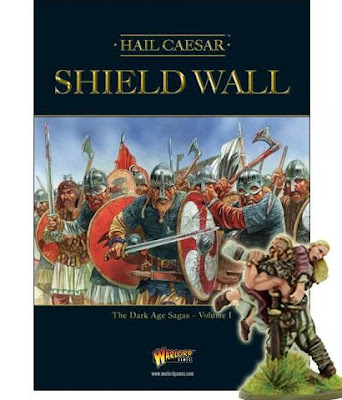 Shield Wall also contains campaign rules and several linked scenarios ­– from Badon Hill to Brunaburh. When you order your copy of Shield Wall directly from the Warlord Webstore you can get a FREE figure and what better than a marauding Viking running off with the Spoils of War!